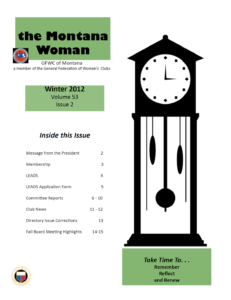 Click on the picture of the cover or red print to access the magazine. 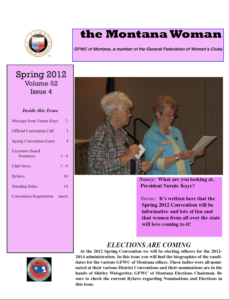 Contents: Dates to Remember, From the President, Call to Convention, Convention Guests, Nominee Bios, JJ Award, LEADS, Club News, International Convention, Proposed Bylaw Changes. 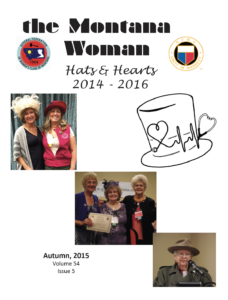 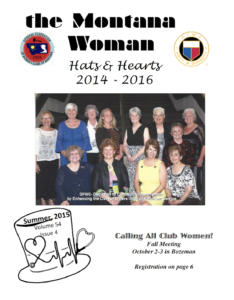 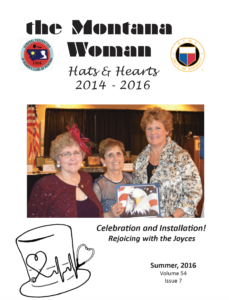 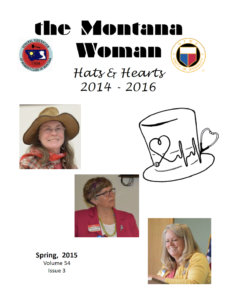 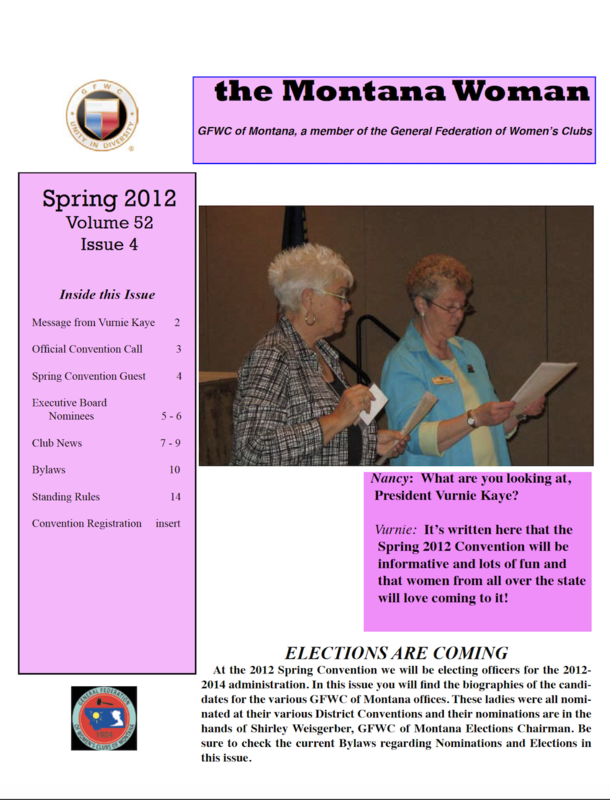 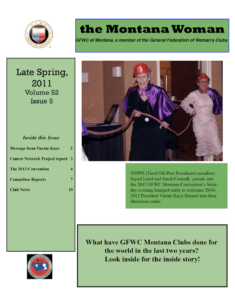 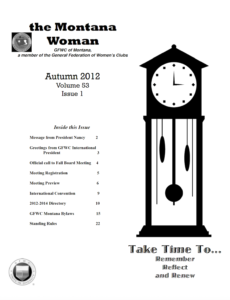 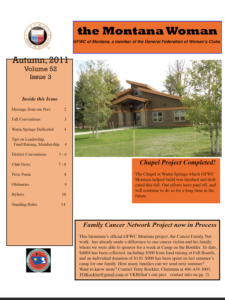 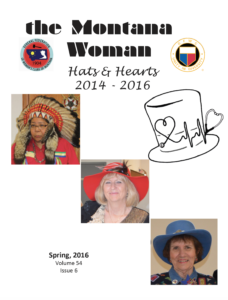 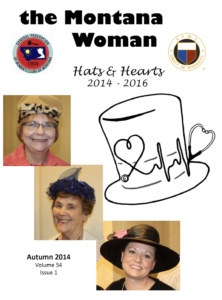 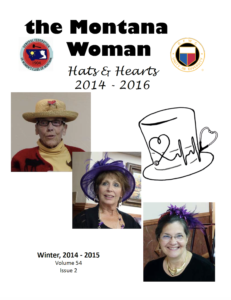 Contents: Dates to Remember, From the President, Membership Matters, Fall Board Report, Clubs in Action, Questionairre for Club Women, WSR Report, GFWC International, Writing Contest, Scholarship/LEADS information, Scholarship application form, LEADS application form. Contents: From the President, Dates to Remember, Call to Fall Convention, Registration Form, Special Guest & Tentative Agenda, Heart Project Report, WRS Call, International Convention Report, Club News, Change of Officer Form. Contents: Dates to Remember, From the President, Winners, Conventions, Presidential Visits, In Memorium, Clubs at Work, Potpourri, Anniversary Ideas, Nominations wanted. Contents: Dates to Remember, Letter from the President, Membership Matters, Talking Books Wrap-up, Club News, Books for Babies, Memories from Fall, Bylaw Changes, LEADS Person Wanted!, LEADS application form, Extension of LEADS application Deadline to March 15, 2015.